Home building vets Angela Meyer and Deborah Cramp join the crew. Brandywine Homes has hired Angela Meyer as vice president of development and Deborah Cramp as offsite purchasing manager, both to be based in the firm’s Irvine, Calif. office. “These talented new hires bring deep experience and will round out our team so we can continue to exceed home buyers’ expectations,” said Dave Barisic, principal in charge of sales and marketing for Brandywine Homes, a pioneer of infill development in Southern California. 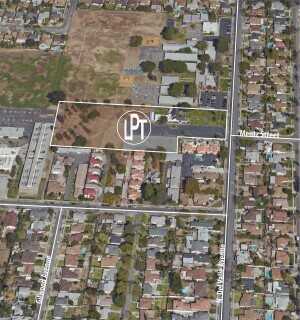 Bren Schader: A Brandywine Homes site in La Puente. An industry veteran, Meyer was recently the director of forward planning and a project manager for Taylor Morrison in Irvine from 2012 until 2017. Before that, she was an independent project manager serving clients including Jones Planning Consultants and Perry Communities. Meyer was a land planning specialist and vice president of land planning for K. Hovnanian Companies in Ontario, Calif., from 2004 to 2010 and also worked for the Sevens County Assessor Office and Cunningham Engineers in Colville, Wash.; Hunsaker & Associates in Irvine and San Bernardino, Calif.; Shea Homes in Laguna Niguel, Calif.; Mission Viejo Co./Jack G. Raub in Mission Viejo, Calif.; and Nelson & Belding Contracting Company in Gardena, Calif.
With more than 13 years of purchasing in the home building industry, Cramp most recently served as regional purchasing agent for Cal Atlantic Homes/Standard Pacific Homes in Irvine from 2013 to 2018. She also served as forward planning coordinator, customer care coordinator and contract administrator for Meritage Homes in Corona and Irvine from 2007 to 2013 and options coordinator for Beazer Homes in Brea and Orange, Calif., from 2004 to 2007. IRVINE, Calif. – Brandywine Homes recently announced it has hired Angela Meyer as vice president of development and Deborah Cramp as offsite purchasing manager. Both Meyer and Cramp will be based in the firm’s Irvine, Calif. office. Moving is a complicated process and every circumstance is different. One of the biggest challenges for anyone moving is time coordination, ensuring both that your current home is emptied before your final deadline and that the next place is available by the time the moving trucks arrive. However, it doesn’t always work out that smoothly. For renters, the lease on your first place may expire before the lease on your next place begins and for those who are buying and selling homes, timing the closing on both a sale and a purchase at the same time is practically acrobatics. There are even situations where you might have a complex job relocation process further complicating the move. As prices rise and interest rates creep up, buyers shift from size to convenience, eyeing townhomes and transit-oriented developments, Brandywine Homes’ Dave Barisic tells GlobeSt.com. 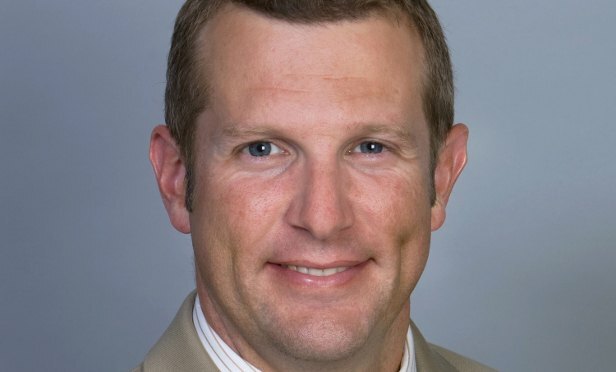 IRVINE, CA—As prices rise and interest rates creep up, home buyers shift from size to convenience, eyeing townhomes and transit-oriented developments, Brandywine Homes’ principal in charge of sales and marketing Dave Barisic tells GlobeSt.com. The homebuilder, which focuses on infill residential development in Southern California, closed 111 homes, opened three new communities and broke ground on three new communities in Southern California in 2017 and plans to increase its number of delivered homes by over 50% and open four new communities throughout Orange and Los Angeles counties in 2018. We spoke with Barisic about some of the challenges the residential-development market is facing, particularly in Orange County, and what home buyers are seeking today. GlobeSt.com: What are some of the challenges in the residential-development market? Barisic: Currently, the challenges we see most often are that construction costs are rising and the labor market seems to be shrinking, so you’re combining higher cost with fewer people who can build the homes. That’s been the biggest challenge in the last three or four years. Going forward, everyone is expecting interest rates to rise a little, and in an area where prices are already high, this could cause a problem. GlobeSt.com: Is it difficult to find land available for development in OC? Barisic: Lack of land is another challenge, especially when you have 30 different builders going for the same piece of land—it’s a continual challenge. There are a couple of different things we try to do to combat this. First, we cultivate relationships with brokers and cities. We used to do this with the RDAs before they were taken away by the state. We’re really relationship builders, so we’re not so much looking for a piece of land but looking for someone who can help provide us with land going forward. So, we work with cities and brokers who can help us with land deals. Second, we like to think outside of the box when looking for land on which to potentially build. There’s not a lot of vacant land left in Orange County, so we have to look at uses that are currently not doing well—misused shopping centers or abandoned commercial buildings—and think, “How could we redesign this in a way that would benefit the community, the neighborhood and the city?” We frequently have to look at it that way. GlobeSt.com: What are homebuyers seeking when they are looking for a home in Orange County? Has this changed over the years? Barisic: What people are seeking in Orange County changes depending on the cycle of the market, but on a basic level, it’s the same: great weather, beautiful communities, good schools. But from a housing standpoint, what people eye changes every few years depending on where we are in the cycle. When we were just out of the recession in 2011, people with good jobs and incomes wanted bigger-size lots and homes and more land; now, as prices and interest rates have risen, people still want the basics of what Southern California can offer, but they want something more affordable: attached townhomes or transit-oriented designs where they don’t have to drive an hour and a half to work. As things become less affordable, people look for more convenience. GlobeSt.com: What else should our readers know about our plans to complete 200 homes in Orange County in 2018? Barisic: We’re on track—as long as we can get our guys to show up, since there’s a shortage of labor. We lost a lot of labor in the last recession since people went on to other industries. As long as everyone is on the same page, we’re all set for delivering 200 homes in Orange County this year—and maybe more.